may the blessings of Quan Yin bring you great joy. In Fujian Anxi province in China during the time of the Qing dynasty, there lived a simple man named Wei Yin. He came from a tea farming family, but had great interest in the Goddess of Mercy. 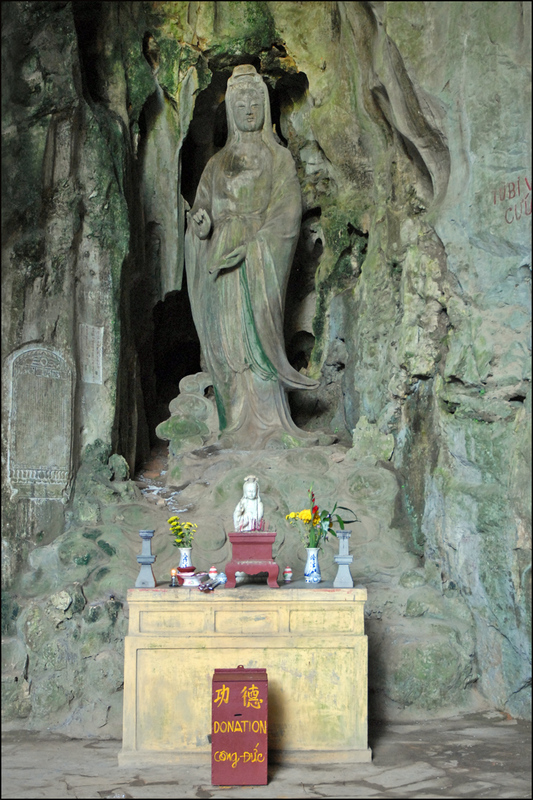 On his way to work in the tea plantations, he would pass a small temple with an Iron statue of Guan Yin in it. At the foot of a mountain this was shrine dedicated to the Goddess of Mercy herself. It so happened that on a night in the early spring one year he had a dream. In this dream Quan Yin came to him and said, “Wei, I have a gift for you and the people.” Then she smiled. “By my shrine on Guanyin Mountain at the foot of the mountain is a stream, in this special place dragons rise to greet the sky. Behind the temples, covered in thick bushes is a cave. Go inside this cave and there is a treasure awaiting you. This treasure will bless you, your people, and eventually the entire world.” Then Quan Yin vanished into swirling rainbow light. The next morning Wei woke up really excited. Could it be? Did the Goddess really appear to him in a dream. To a simple farmer in Anxi, this was a big deal. He put on his clothes and ran down to the temple. As he did so, he noticed that indeed the clouds on that day looked like dancing dragons. When he arrived at the temple he noticed, as if for the first time, the cascading streams that were making beautiful music as they fell upon the rocks. He walked behind the temple, and looked behind the bushes. Lo and behold, to his amazement there was a cave! He went inside and surrounded by a shroud of light was a tea plant. Just a brand new start mind you, not even a month old. So delicate and fragile. But he knew this was the treasure, so he dug it up and ran home and planted it in his tea garden. The next year when it was time to try the teas, he had almost forgotten about this special plant. But his youngest son plucked the leaves and made him a cup. It was sweeter, more fragrant, and delicious than any other tea he had ever had. Not only that, no matter how much water they poured in the cup, the flavor stayed delicious and fragrant! He then named this tea Tie Guan Yin. 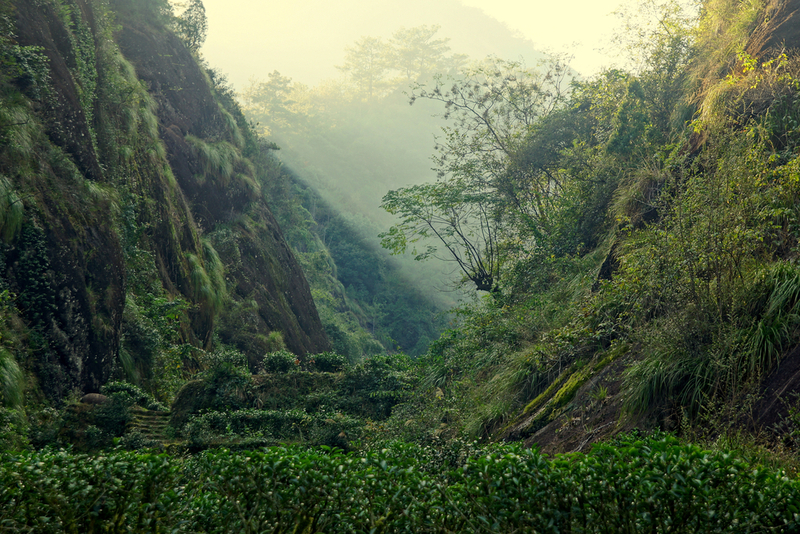 Wei gave tea clippings to his neighbors from this plant, and this strain spread through the valley. It soon became known for its amazing flavors. The whole region became prosperous and so did Wei. As according to his earlier wishes, he put forth his wealth into refurbishing the temple and lived happily ever after…..